Submissions will be open April 13-23. Per our submission guidelines, you must complete both a submission information form AND email your query + 10 pages to AMM to be considered. 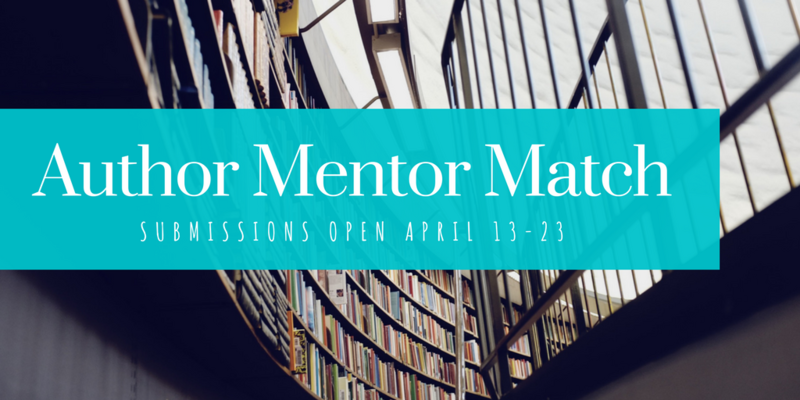 You may submit to up to four mentors. They may request a partial, full, and/or synopsis in addition to your submission package, so we recommend having all three ready. Mentor/mentee pairs will be announced between mid-May and early June. Young Adult AND Middle Grade (new!) authors with complete manuscripts that are ready for mentorship. This means you’ve done at least one revision pass/the book is somewhat polished. We strongly recommend you submit manuscripts that have not been queried, or have only been queried/pitched lightly. Mentors won’t be able to help as much if a book has been widely queried. AMM is not a contest, but a straightforward mentorship program. We focus on relationships and editorial/industry guidance. If you are chosen by a mentor, the two of you will guide the parameters of your relationship, as well as timing. Have more questions? Try our FAQ! But don’t worry, we still have a solid crop of fantasy/sci-fi/genre mentors! Round 2 mentors will be announced in mid-March (ie: very soon!). Once again, Heather Kaczynski and Alexa Donne are moderating/facilitating AMM, with the addition of the incomparable Kat Cho! To stay up to date on the latest news, follow Heather (@HKaczynski), Alexa (@AlexaDonne), or Kat (@KatCho), and/or check the hashtag #AuthorMentorMatch or #AskAMM. We also welcome questions on these hashtags, or you can directly @tag us. You can also subscribe to Alexa’s newsletter, as she provides pertinent AMM updates in her monthly eblasts. To connect with other mentee hopefuls, we recommend the mentee-run Facebook group Author Mentor Match Support Group. And of course, check the website! We’ll post all news/updates here.